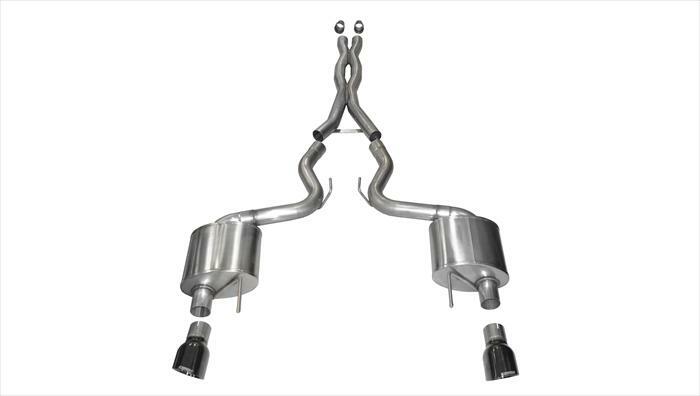 2015 Mustang GT Catback Exhaust System from Corsa featuring their double x mid-pipe. 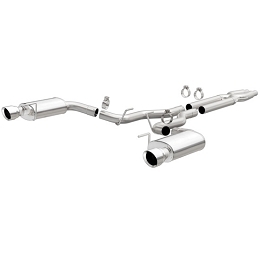 Improve sound and performance on your mustang. 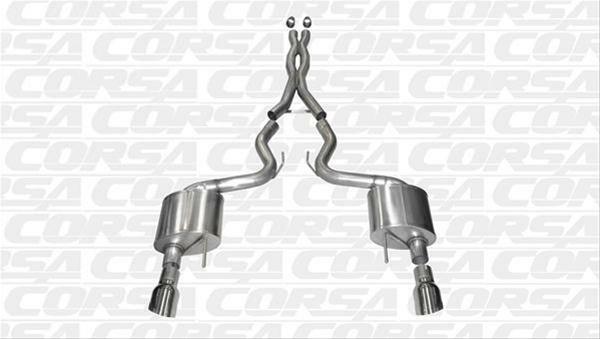 Thanks to their unique, unmatched muffler technology, the drone busters at Corsa Performance Exhaust have created the ideal exhaust systems for you. 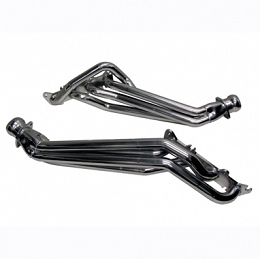 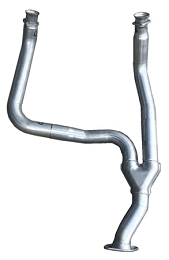 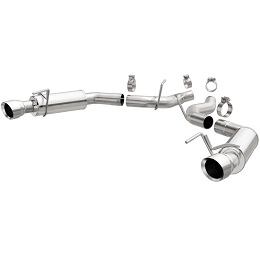 Corsa Xtreme exhaust systems employ a straight-through, non-restrictive design. 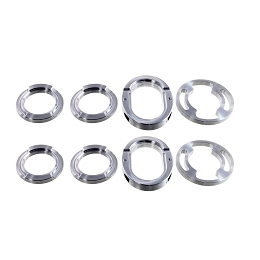 They're coupled with their patented reflective sound cancellation science to tune out annoying low frequencies that cause droning and leave you with a crisp, clean sound. 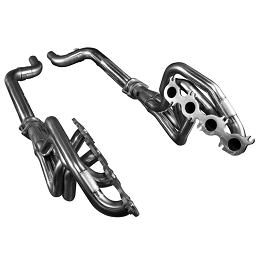 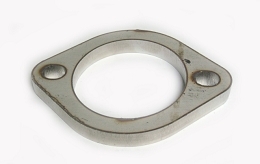 This cutting-edge innovation also reduces backpressure, allowing your engine to produce more horsepower and torque. 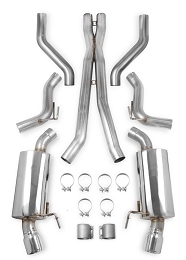 The bolder, louder, meaner sounding Corsa Xtreme exhaust systems are manufactured from premium stainless steel with mandrel bends and handcrafted tips polished to a gleaming brightness to enhance your ride's appearance. 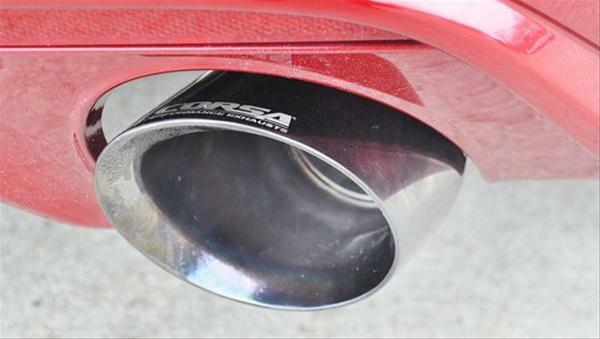 Developed to fit right, Corsa exhausts go on fast with no cutting or welding. 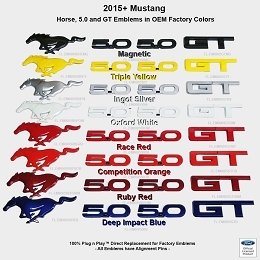 They're bold when you want them to be, and quiet when you need them to be.